You’ve written a middle-grade/young adult book and published it, and you can’t understand why it won’t sell. 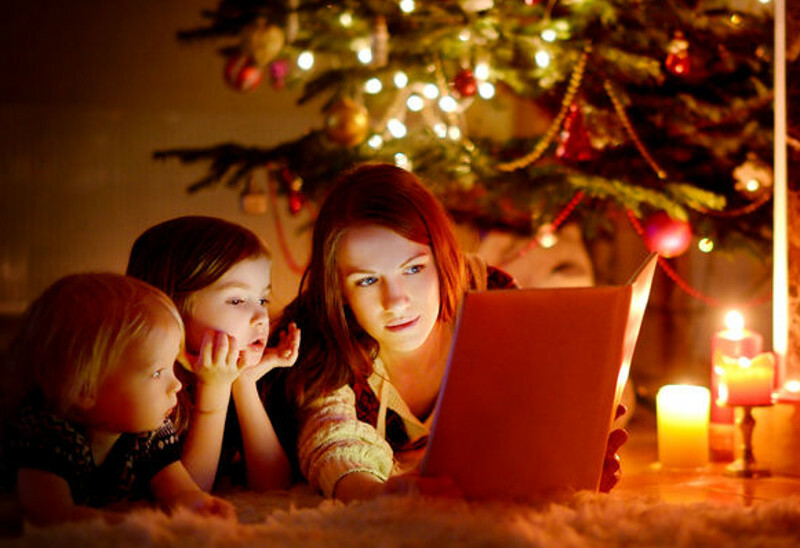 You have wondered on more than one occasion if anyone under the age of 45 reads books any more. What seems to work for other authors in other genres doesn’t work for your books. You know what it takes to write a great book, and you’re getting a little tired of also having a day job. You’ve changed covers and blurbs so many times you don’t recognize your work any more. You’ve tried everything, and your books can’t get any traction. You feel like your book is being picked on. You feel like self-publishing is a big party and you’re outside in the rain looking through a window at a Norman Rockwell Christmas scene. It feels like your book is being deliberately sabotaged by gremlins. You’re heartbroken, because you really love your story and you want readers to love it too. If any of these things sound familiar, take a deep breath, close your eyes and relax. You’ve come to the right place. Enchanted Airship is an investor-backed community of middle-grade and YA authors who have joined forces to create a new kind of book promotion. We recognize that middle-grade and YA fiction face unique challenges in the marketplace, and we also know anything we learn from our efforts should be shared with other authors like ourselves. We believe literacy is important. We have a duty to help educate future generations, and we have a gift that makes it possible to fulfill that promise in a unique way. We want to build a community of real people who share the same vision, and we want to take charge of our own businesses. Ten years ago, I invented a tool called the “skybox.” At the time, we used it to syndicate advertising across a 115-site webcomic network. We built an audience of 70,000 readers a day and established the largest English-language webcomic network in the world. We were revenue-positive from day one. The resulting tidal wave of traffic helped us drive more than 250,000 readers to our flagship comics LadyStar: Fury of the Venom Legion and LadyStar: Jessica Halloran and the Ajan Warriors. See that little book cover up there? That’s a skybox. Inside it is what we call “The Portable Bookstore.” Any site can paste two lines of HTML into one of their web site pages and our skybox will display a different book to every visitor. Go ahead and reload the page. You’ll see the cover change each time. The LadyStar comics averaged more than 100 unique visits a day for over two years. That was almost ten years ago and we are still getting traffic from that campaign. When you join Enchanted Airship, we will add your first book to our Portable Bookstore rotation for a renewable term of one year for $100. As long as you are a member, each subsequent book you add to the rotation is an additional $20 a month. Each book will have an equal chance to appear on all the sites where our skybox is running, and your cover image can link to any URL where your book is for sale or to your own web site. The fees remain the same no matter how many clicks you get. Your book will always have equal visibility with all the other books in the rotation, regardless of sales volume and no matter how many sites are in the network: Ten sites or a thousand. For authors, this is the best advertising value on the web. Period. We pay for server bandwidth and CPU time. The larger our network, the higher these costs will be. We also buy space on host web sites from time to time, especially if we have an opportunity to get good visibility at a reasonable price. There are two ways you can earn money as an Enchanted Airship campaign host. First, you can opt for a discount coupon code at the Palace in the Sky Bookstore (getabook.today) and make it available to your readers. At the end of each month, we total up all the purchases made with that code and send you a commission check for a percentage of those sales. We use something called a step-up commission, which means the more books sold, the higher your percentage goes. We have one of the most generous affiliate programs in the industry with payouts as high as 30%. The other option is we can give your readers a premium discount and just pay you every month to display our skybox on your site. Paid placements are based on traffic and conversion levels. My name is Shane Lochlann Black. I’m a fantasy and science fiction author. I’ve written nearly 100 books and sold a few here and there. I was an interactive marketing consultant for a multi-billion dollar animated television series, and I founded and managed one of the largest independent animation studios in the world. I also run my own bookstore. I’ve developed or produced more than 200 commercial products ranging from video games to comics to animated television with combined retail sales exceeding five million dollars. I have a degree in English Education. I also have more than 25 years of enterprise-class IT experience at all levels of management from team lead to CEO. 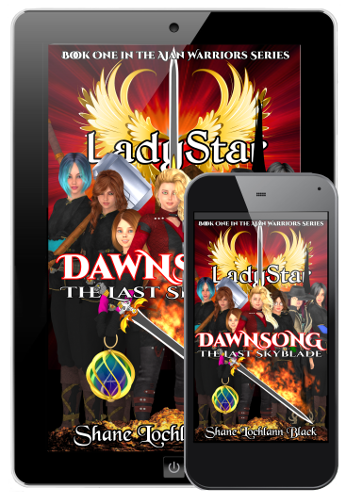 I’m the author of the LadyStar™ series. Enchanted Airship is partly the result of my stubborn belief my “girl with a magic sword” story should sell as well as my “guy with a big spaceship” story. I wrote a book about online advertising called Making Money with Project Wonderful which was the result of many years of gathering expensive and hard-won knowledge building my comic network. I’ve spent many thousands of dollars advertising and optimizing campaigns on various networks including CPMstar, Google, Amazon, Facebook and Project Wonderful. Over time I learned what worked and what didn’t, and what worked got my fantasy comic series more than 250,000 readers. 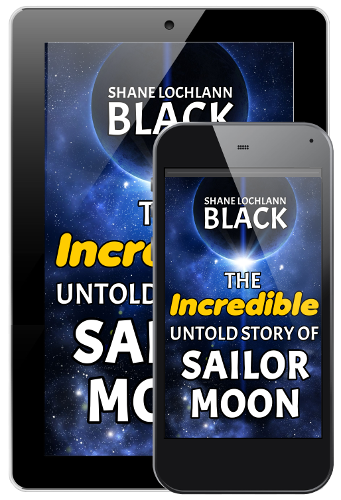 I’m also the author of The Incredible Untold Story of Sailor Moon which is the definitive history of the world-famous television series in English-speaking countries like the U.S. and Canada. While doing the research for this book I learned a great deal about the children’s television and publishing markets from three-time Emmy® award-winning producer Andy Heyward and head of international distribution for Warner Bros. Jim Marrinan. I’m utilizing all of that experience and knowledge to make Enchanted Airship unique and effective. I believe there is a tremendous unmet demand in 2018 for new middle-grade and YA fiction. So I decided to recruit some exceptional authors and go out to find real people who want to buy what we have to offer. We’re not looking for likes, followers or views here. We’re looking for readers who will buy our books and then come back again and again. Our goal is results in the form of book sales. Our strategy is a simple one. Once we find enough parents, teachers and librarians and get them to put our books in the hands of our new audiences, word of mouth will take over and propel our titles to higher sales and greater success. Our tactics are very similar to a political campaign. We reach readers one at a time. We put a book in their hands. And then we find another. If you’re looking for an exciting one-of-a-kind marketing opportunity for your YA or middle-grade books, or if you’d like to be a part of our growing skybox network, e-mail me and let’s talk.